Let's face it, there is really no such thing as too many highlighters. No matter how many we have, new highlighters give us girls such joy! You can go to Sephora to see all these beauties live but I have included some skin tone swatches that might help. Here are a few powder and cream forms that just hit the market! These drops by COVER FX are brand new editions to their Custom Enhancer Drop collection. Rose Gold, Halo, and Blossom. You can add this to your foundation, apply as a topper, or both! 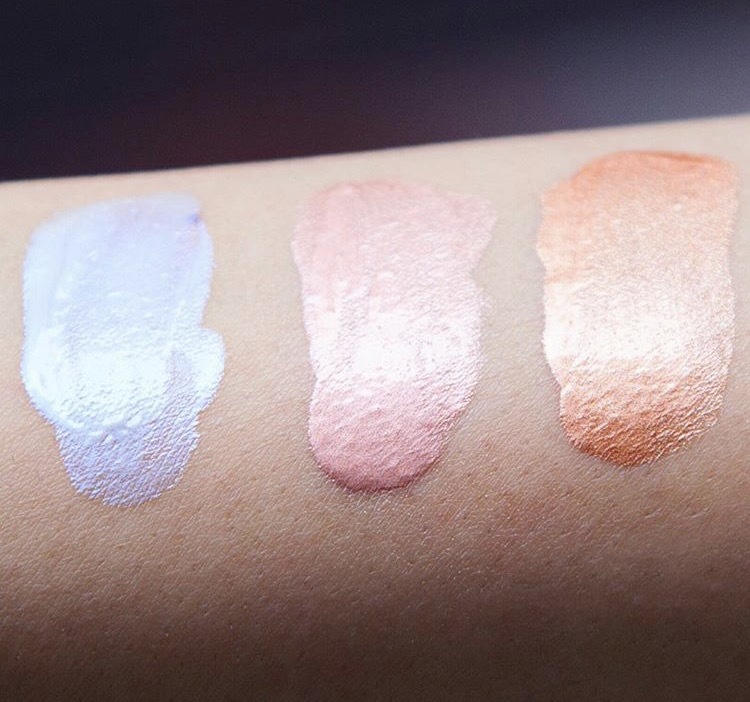 Here are some gorgeous swatches! Find them at Sephora. 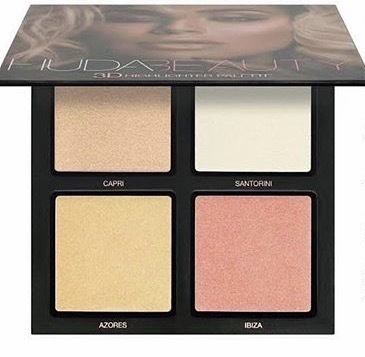 HUDA Beauty is launching these brand new highlighting palettes in GOLD SANDS & PINK SANDS. These palettes are meant to give your skin that touch of "I just came back from vacation" sun kissed skin. Here are some swatches! Will be available soon at Sephora. 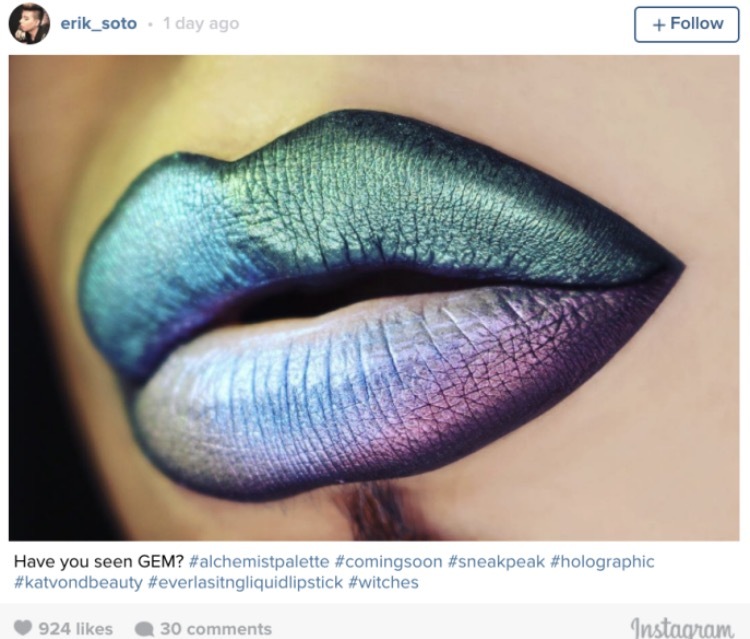 This Kat Von D Palette brings holographic to the next level! You can use them alone on top of foundation or layer them on top of a blush or another Highlighter. And did I mention-GASP!- you can also use them as eyeshadows and on LIPS!! Kat Von D really brings the creative spirit out of any girl with this Alchemist Palette. There are just SO many ways to PLAY so once you own it-have fun exploring different looks! And you know I had to include a lip look. This photo was just too amazing not to add! Look how you can transform your lips with this Kat Von D Highlighting Alchemist Palette! Watch out guys! There is a new pro highlighting Palette in the works! He snapped about it so if you haven't bought any of his highlighters here is your chance to try a few! Here's a shot of a couple of his highlighters, popular for their high pigment, soft texture, and HUGE packaging! You definitely get a bang for your buck with these! Can't wait to see what the Palette looks like. Stay tuned!!! There are so many new products hitting the market, my bank account is screaming "please stop!" LOL! I will post more as they launch so stay tuned. Which ones will you buy?? We'd love to hear from you!